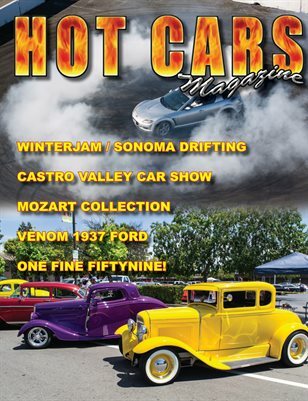 In this issue we take you to my hometown car show, the Castro Valley Car Show! Then we head for Sonoma Raceway for some drifting during the WinterJam! Three great feature cars, Ramon Coria's 1937 Ford Roadster, Roger Blanchar's 1959 Chevy convertible, and Steve Morgan’s 1951 Henry J Custom. We also visit the John Mozart collection and give you an update on our project car, BOB.